Many people often wonder what they will do when they finish their studies. I spent most of my master’s year worrying about what would be next. Would I be able to get a job? Would this master’s help? 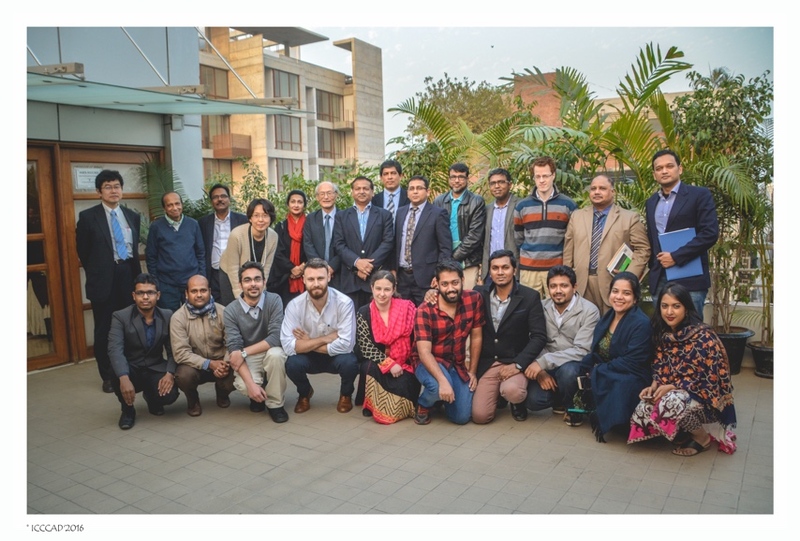 Over the last few months my questions have been (partially) answered, via an internship with the International Centre for Climate Change and Development in Dhaka. When I first arrived in Manchester I never imagined I would end up working on climate change. That changed when I met my tutor Dr Joanne Jordan. Many of my courses engaged with climate change vulnerability and adaptation, which was Joanne’s area of expertise. I realised that there was more to the climate change sector than just climate science and mitigation, and that adaptation and vulnerability reduction fit well with my development interests. I decided to focus my dissertation on local-level adaptation, and particularly community-based adaptation (CBA), which turned out to be an emerging area of critical research. So, without fully understanding the specifics of CBA, but keen to learn more, I decided to spend the summer writing my dissertation on its role in reducing climate change vulnerability in Ethiopia. During this time, I spoke to Joanne about potential job opportunities for after completion of my master’s. I was excited to hear about the GDI-ICCCAD 6-month internship programme that she has recently established. 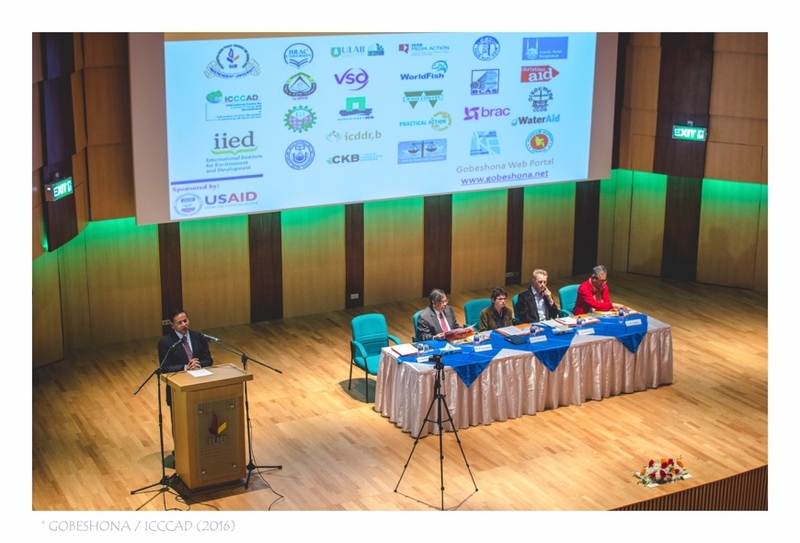 I discovered that ICCCAD will be hosting the 10th CBA conference in April 2016, an international event bringing together researchers, policymakers and practitioners from across the world to share their experiences and the latest developments in CBA. I was keen to get involved in the conference as it would be an excellent opportunity to expand my knowledge and learn from experts in the field. Under international climate change expert and pioneer of the 1.5ºC campaign, Dr Saleemul Huq, ICCCAD seemed like an excellent experience for someone trying to break into the climate change and development sector. I spoke with Saleem and he was keen to have me come for an initial period of 6 months and agreed that I could get involved in CBA10. But I was nervous. I didn’t have a lot of experience, only academic knowledge. I would be working with professionals. However, when I arrived at the start of November, I discovered that there was no need for all those fears. Almost everyone at ICCCAD is a young professional trying to develop the skills and experience needed before moving on to other jobs or to master’s or PhD programmes. ICCCAD is a very supportive training ground! I took on the role of events coordinator for CBA10. But, since no one here does just one thing, I also jumped at the opportunity to help develop a Monitoring, Evaluation and Learning (MEL) programme. One of MEL’s first projects will be to work in partnership with the International Institute for Environment and Development (IIED) to evaluate the CBA conferences. I have now been here for 3 months and have learned how to negotiate with rickshaw pullers and market sellers. I’ve picked up a few key phrases in Bangla (and laugh with others when I don’t say things quite right), and am used to the attention/questions/stares that come with being a foreigner here. I have even been on a local bus! As living and working here is providing much vital in-country cultural experience, I have decided to extend my stay until the end of August. There have been many opportunities for networking at various events and I feel as though the time is going by too quickly. There is so much more to do and learn and if I leave in right after CBA10, which was the initial plan, I would be missing many opportunities. I am learning loads and am sure that ICCCAD will pave the way into what I hope is a long-term career in the climate change and development sector – a career that I would have never imagined had I not done my master’s at the Global Development Institute. I am sure that my relationship with GDI will not end now that I have completed my master’s. 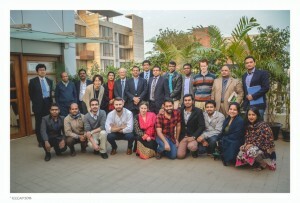 At one event I met someone that works for USAID in Bangladesh who also did his master’s at Manchester and in another month or two, I will be meeting up with Joanne in Dhaka for the second time since I arrived. I am sure that it is only a matter of time before I connect with others who have connections with GDI in one form or another.